The North, South and Overseas Headquarters of the Pan-National Alliance for Korea's Reunification (Pomminryon) adopted a joint resolution at the 18th meeting of its co-chairmen held on March 25. 1. Pomminryon will spur the improvement of the north-south ties under the uplifted banner of By Our Nation Itself. In particular, all the valuable achievements of the June 15 era will be recovered and the June 15 era of independent reunification will be revived to further advance into the second June 15 era in the spirit of By Our Nation Itself. Pomminryon will resolutely reject all the sycophantic and traitorous moves aimed at leaving the interests of the nation and the destiny of the fellow countrymen at the tender mercy of outsiders and actively struggle against any sinister attempt on the part of outsiders to estrange the fellow countrymen and foster confrontation between them by creating artificial block in the improvement of the north-south ties and seeking interference and arbitrary practices. 2. Pomminryon will take the lead in the efforts to actively foster the atmosphere for national reconciliation and reunification. It will play a pace-setter role to promote great unity of the nation and fan up the hot air of independent reunification by carrying forward the spirit of the historic April Joint Conference of Representatives of Political Parties and Public Organizations in North and South Korea. In particular, it will ensure successful events common to the nation on major occasions this significant year, including the anniversaries of the north-south declarations, and thus demonstrate the will for great unity of the nation and the independent reunification. 3. Pomminryon will lead the nationwide movement for ensuring lasting and durable peace on the Korean peninsula. It will as ever conduct in the van the nationwide movement for rejecting all acts of war and confrontation that threaten the destiny of the nation and ensuring lasting and durable peace on the Korean peninsula. 4. Pomminryon will strengthen itself and further enhance its function and role. 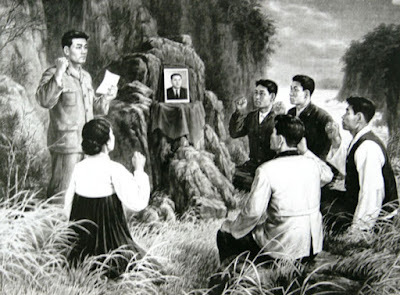 It will go deep among the people of all social standings, breathe the same breath with them, strengthen regional and lower organizations and steadily expand its ranks, and further consolidate itself through diverse practices for independent reunification and peace against war. The resolution appealed to all its members to more dynamically advance towards the eminence of independent reunification with faith and optimism about sure victory.